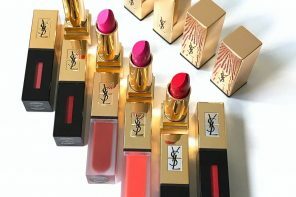 I would love to get the YSl lipsticks for myself and the Penhaligon’s Artemisia Fragrance Collection for my sis. She loves pretty packaging and this would be the most amazing gift for her! shared on fb & twitter too! I chance upon your instagram and was curious to know who is this generous Santa from Singapore! So I visited your blog for the 1st time and I’m glad I did. 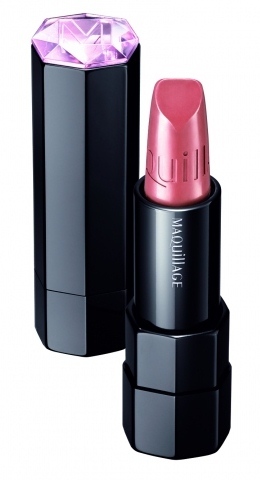 It was interesting with many products information and I love it. I wish to have a Burberry body gift set for myself as I love fragrances and I also wish that I would have a SKII Crytstal deluxe set for my mom. Her both legs were weak and not able to walk for the past few months, hence she was not able to go out shopping. Her skin looked dry and wrinkled so I wish the SKII Crystal Essence gift set will brighten her skin tone and cheer her up for this season! Truly grateful for this giveaway. 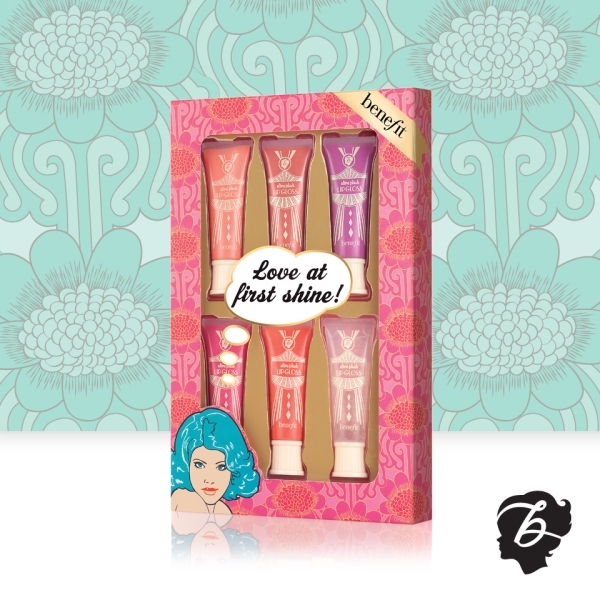 I will like to get the Benefit Cosmetics Groovy Kinda Love for my younger sister. She is about to graduate from university and enter the workforce. Currently, she only uses lipgloss for everyday use. I will like to prep her with this kit so that she can be presentable during her job interviews and in her job in future. With this kit, I am confident that she will make good use of it to the fullest. For myself, I will like to get SK-II Crystal Deluxe Set to improve my skin. Due to overnights in work and improper sleep, my skin has worsened. I will like to use this set to salvage my face before it worsen. I know SK – II has good elements to help the skin to recover and glow again, and will really like to try it. 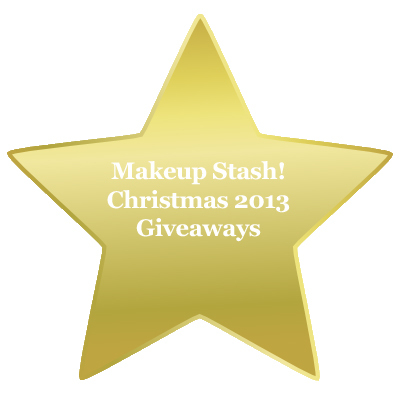 This is the first time I’ve decided to join your giveaway though I know you have been doing this every Christmas. The main reason why I want to this year is I hope to win something for my wonderful and giving husband, my pillar of support. Without him, I will never be able to stop work and stay home to look after our daughters. Because of this decision and his support, the bond between my first born has greatly improved! I haven’t had time to pick up a present for him this year. I really hope he starts a skincare routine and gets to enjoy skincare from SKII Men. 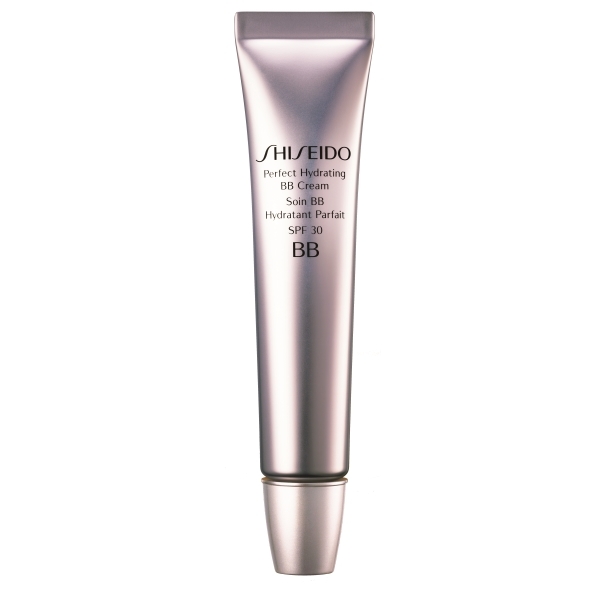 As for myself, I am happy with the Shiseido BB cream. I like to keep a spare one so that I know I don’t have to buy a new one when my current makeup base runs out. Thanks for hosting this giveaway. Wishing you and your family a blessed year of 2014. I wish to have a Kiehl’s Aromatic Blends Patchouli & Fresh Rose Eau de Toilette 100ml, and a Penhaligon’s Artemisia Fragrance Collection for my mom. Hope my wish is granted! ★Thank you so much for the giveaway! You are awesome! Wow mag what a giveaway!!! Thanks dear! I would like the sk ii crystal deluxe set. Winter has wrecked havoc on my skin and I think this will help restore it. I’d like kiehl’s patchouli and fresh rose for my sister. After all the medical treatments she has had, a nice scent would be an uplifting treat for her. I would like to win Laura Mercier Tinted Moisturizer Oil-Free in Natural for myself and Benefit Cosmetics Groovy Kinda Love for my sister. I haven’t been a great sister this year. Hope it would be a pleasant surprise for her. Wow…Nice Giveaway full of Christmas spirit of sharing. I love to try Nars Voulez-Vous Coucher Avec Moi Ce Soir Eye & Cheek Palette for myself . I love to try it to give me a new look this festive season & surprice my hubby. Hello Mag, I’ve followed you in Facebook! Thank you for hosting this awesome giveaway which can spread the beauty spirit this festive season to all your readers!! Second, thank you for giving me chances to try out beauty goodies I am currently not able to afford, if I win!! Here’s a toast to wish you and loved ones to have an abundance of blessings, joy and happiness in the new year ahead! As for me, I am still venturing into makeup and as I am a student just turned intern, I am unable to afford to expensive makeup, so I will be elated to receive the laura mercier caviar stick set OR Penhaligons Artemisia fragrance- I cannot decide either one so it will be up to your discretion and availability!! 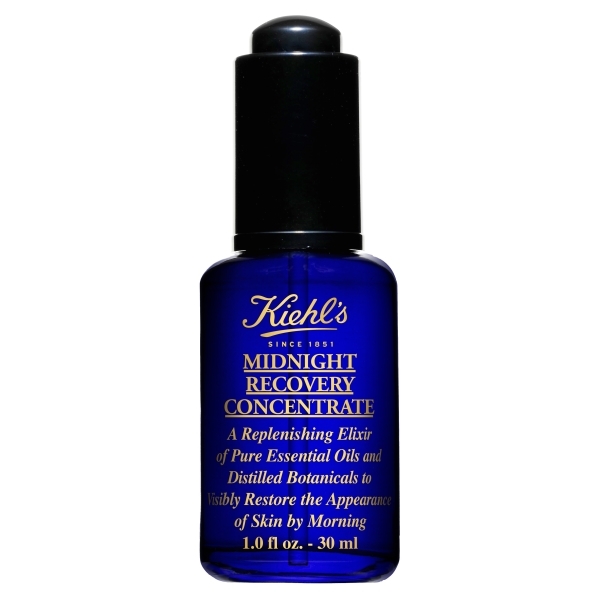 I pick Kiehl’s Midnight Recovery Concentrate and Midnight Recovery Eye for myself as I am a huge fan of kiehl’s products. I myself have been using the midnight serum for some time and find it really effective in curing my dry and dehydrated patches. 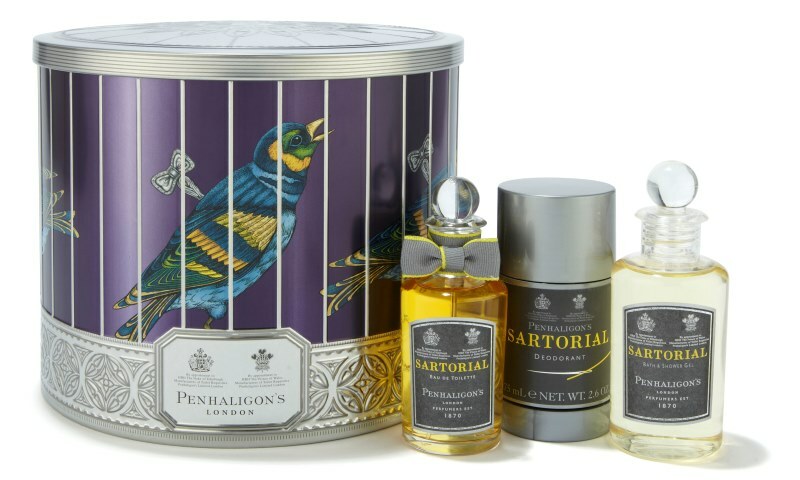 I would love to win the Penhaligon’s Artemisia Fragrance Collection for my dear mum as she loves to collect perfume and this set of perfume is simply so exquisite. I can imagine her smiling from ear to ear if she wins this! Cheers! Merry Christmas and a happy 2014! This is the giveaway I have always been waiting for all Christmas! 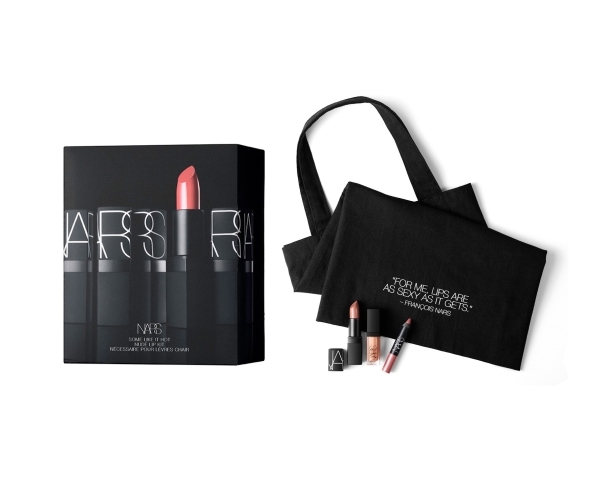 I would love to win Nars Some Like It Hot Lip Kit for myself as I have been wanting to try Nars lipstick and this would be a great time to try this. I would also love to get Shiseido Perfect Hydrating BB Cream for my BFF as she has been my very good friend for a long long years and many more to come. I’m sure she’ll be thrilled to receive this nice bb cream from Shiseido. Thank you so much for the awesome giveaway!! :) I think you are making all the ladies very happy!! I’ve been following your blog for sometime and it’s the first time I am participating so quoted excited! For my dear sister, I would love for her to have Shishedo Perfect Hydrating BB Cream. She had just started working and is not too sure what kind of makeup suits her. I would like to recommend to her this because it has been make up and skin care benefits. The colour matches her fair complexion as well!! I can just imagine her delighted expression if she receives this!! Merry Christmas and once again, thank you for the generous giveaway!! I would like to gift Kiehl’s Midnight Recovery Concentrate and Midnight Recovery Eye to my sister who had been working hard at work, missing her sleeping hours and getting all those unsightly panda eyes. Once again, thanks very much!!! For me, would me the SKII Men Skincare set, as I have heard raves abt this, n I would like to win this for the best Christmas present. For my wife, would be the SKII Crystal Deluxe set, I would like to win this set for her too, so we will be the best looking couple ever for this year ! This christmas, I wish to share a wonderful gift with a friend who is so similar yet different in many ways to me. 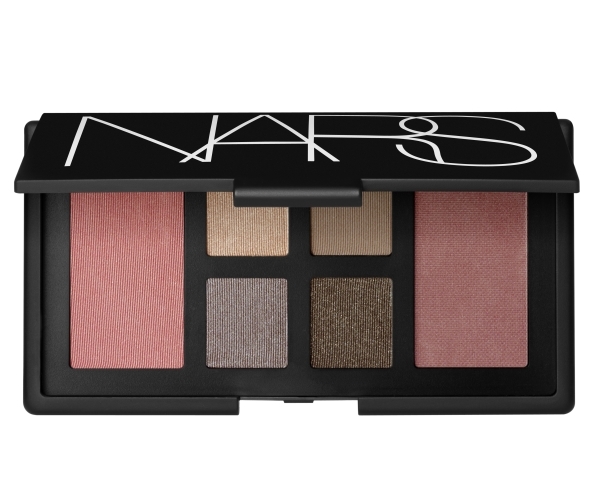 I would be so grateful if i’m gifted with 2 sets of Nars Voulez-Vous Coucher Avec Moi Ce Soir Eye & Cheek Palette. Needless to say, one for me and another, for her. It’s been 6 years since we’ve known each other, with each year a deeper understanding towards one another. But as we move on with life, we find it harder to organize a meetup that accommodates both our schedules. Hence, I would like to take this opportunity to present to her this special gift and at the same time, let her know that I will always have her back. I am so glad that nothing changes between us even if we don’t see each other as much. I hope that this gift will serve as a reminder of a wonderful friendship we share when she puts on her makeup everyday. At the same time, i would also like to thank you, Mag, for offering this kind opportunity to allow me to do something sweet for my loved ones. 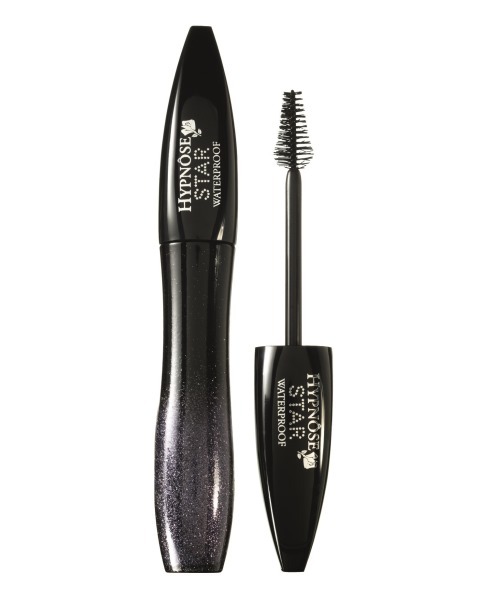 I would like to win the Laura Mercier Shimmer Effects Mini Caviar Stick Eye Colour set for my wife. All along, she has been trying to find eye shadow that is easy to apply. 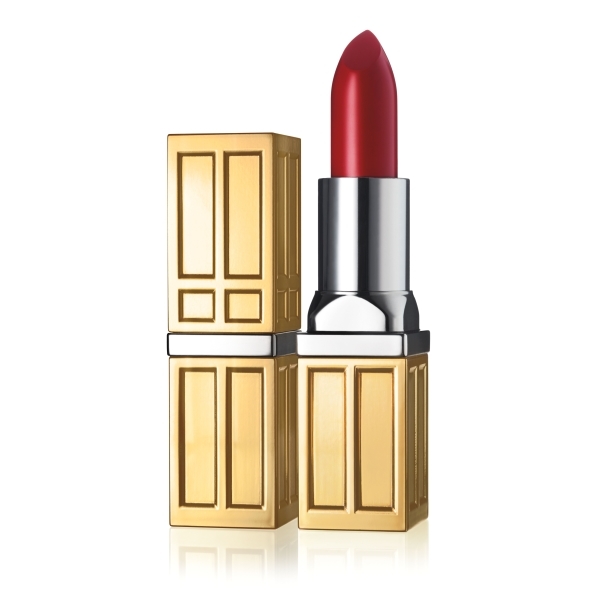 And she fell in love when she chanced upon Laura Mercier because of the nice colour and easy application. I would like to present her with this wonderful gift to make her happy for all the hard work and sacrifices she has made for our marriage. Thank you this opportunity and happy boxing day! I’d love to win the clarins set :) I’ve only heard good things abt clarins skin care and hopefully it’ll do wonders for me! :) I’ve been trying out various brands but they don’t really agree w me so I’m hoping that this will be the one! :) with late nights and all, i think my skin has probably aged so much! I saw in your Instagram that you really recommend this line- so fingers crossed! I’m following your insta btw :) and twitter. And facebook. Hahaha. Also, I’d love the Benefit Cosmetics Groovy Kinda Love palette for my best friend in the whole world. She’s beautiful, funny and smart- and she’s been there for me for the past 11 years since we were little girls in pinafores :) I’d love for this to thank her for having my back all this time and being a part of my life through ups and downs. And never being judgemental. :) I love her tons and since I’m such a terrible gifter- I think this will be perfect. 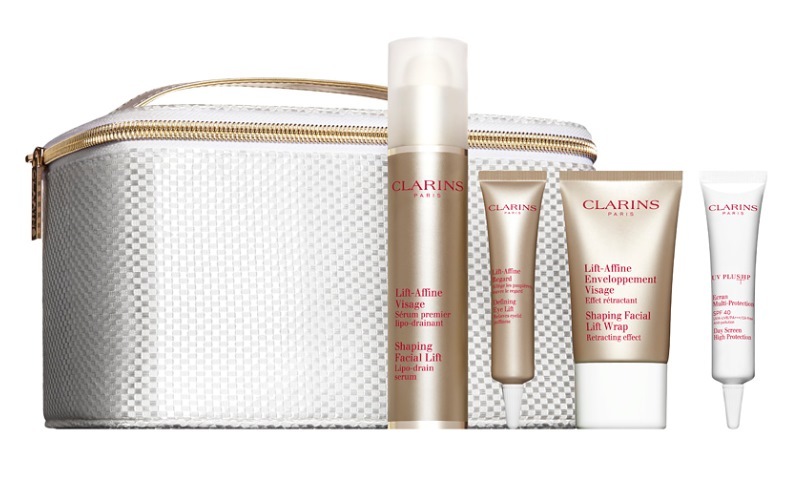 for this xmas, i wish for a Clarins Shaping Facial Lift Collection as this is what I am going to get for myself on my 40th birthday which is less than 8 months away! I also wish for the Sk-II Crystal Deluxe Set for my dearest mummy who has been a big fan of the miracle water! I would like to win Make Up For Ever Rouge Artist Lip Palette in #2 Cool Pink as I really love to have a set of eye shadow as my xmas present because I felt that putting on makeup not only gives u confident and it is also a form of art as you get to mix different shade of color and with different shade, it does bring out the different side of yr personality. 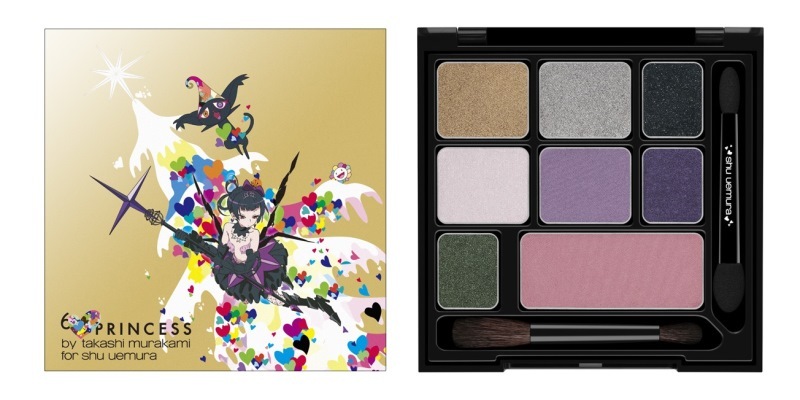 I would also like to give Shu Uemura 6 Hearts Princess Enchanted Black Parallel Palette Eye and Cheek Palette to my sis because her birthday is just around the corner and I would to spring her a surprise. With this present, I hoped that she can have a memorable 21st birthday. I would love to win the Nars Voulez-Vous Palette because I’m still a newbie in makeup and I’ve had my eye on this palette ever since it was launched! I love the exquisite earthy tones of the palette and how it is luxurious yet muted enough for me to wear to school. I would also love to present the SK-II or either of the Burberry products for my mummy cos she’s always been really frugal and hence does not spend much on herself. She doesn’t do much pampering, or at all, but puts a lot of pressure on herself. Thus I would love the opportunity to gift her some luxury products for her to finally take better care of herself, an opportunity I otherwise cannot afford. 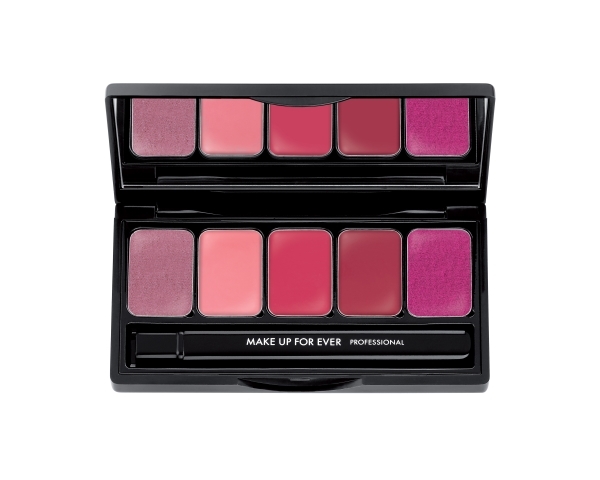 I would love to win the Nars Voulez-Vous Coucher Avec Moi Ce Soir Eye & Cheek Palette! Been eyeing it ever since it came out and fell in love with it again when I went to Tangs to swatch it. I’m a really neutral kinda girl and this set will be perfect to tote around while travelling as it is so compact! I love all the colours inside especially the neutral eyeshadows and gorgeous blushes. I would also like to pick out SK-II Crystal Deluxe Set for my mommy ask she works really hard for the family and this gift will be perfect for her to pamper her skin. 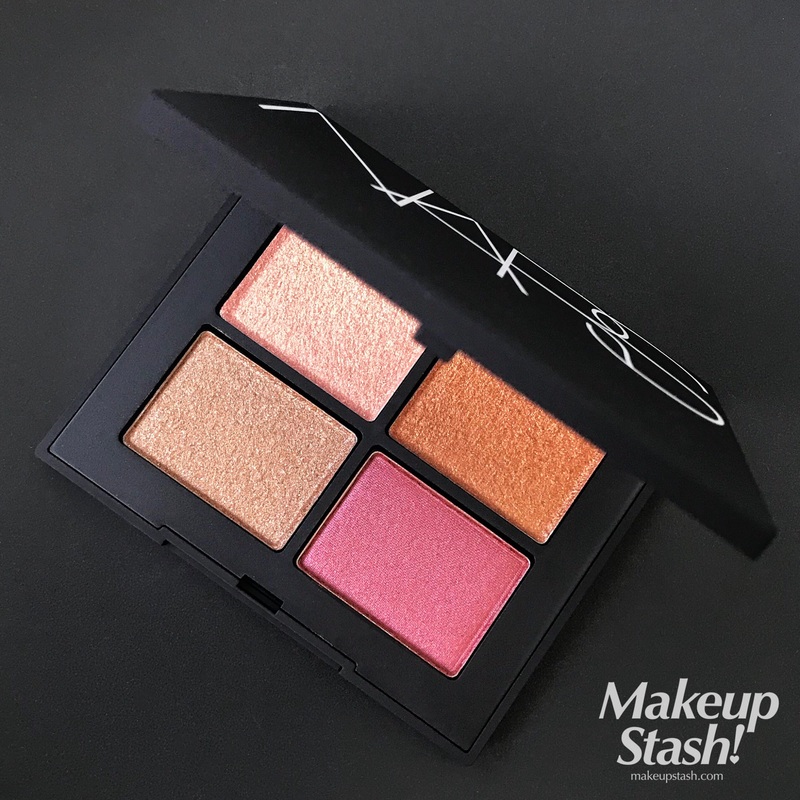 I would like to have Nars Voulez-Vous Coucher Avec Moi Ce Soir Eye & Cheek Palette because with this makeup palette, I can come up with various type of makeup that I can wear for the party to countdown 2014. On the other hand, I would like to give my mom the Nars Some Like It Hot Lip Kit because she’s really a hot mum, despite that she’s in in her 50’s she still dress with fashionably and every time I go out with her, everybody would have mistaken her as my sister and I think she’s hot enough to have this present. :P Happy Holidays and countdown to 2014!!! Thank you for this giveaway and here’s to a blessed year ahead! Hi Mag, thanks for the giveaway! :D It will be great if I can reward myself the Penhaligon perfume as I have been working really hard and achieving some good stuffs lately :D anddd I really want to try it! As for the another gift, I would like to pick the SK-II Crystal set for my hardworking mom (: She is living overseas and we will see each other again after NY! For myself, I would like to win the Penhaligon’s Artemisia Fragrance Collection. I’ve never owned a fragrance from Penhaligon before due to their hefty price tag. 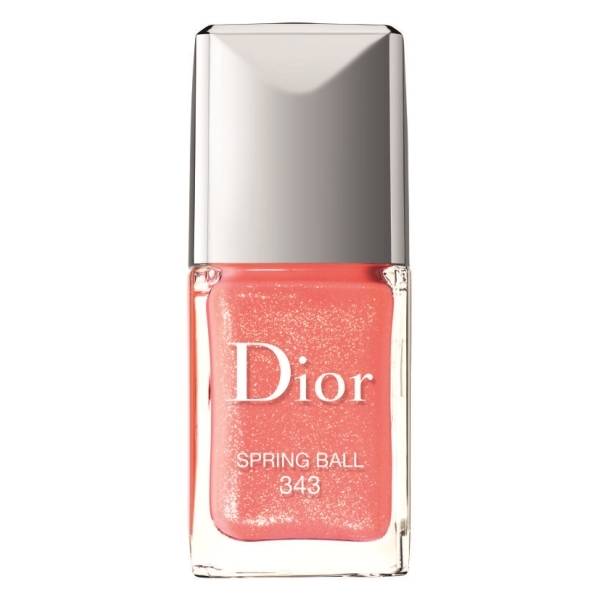 I’d love to win this as I am fond of floral and fruity fragrance and the bottle is really exquisite and pretty. Wishing everyone merry x’mas and a happy new year! Thank you for this wonderful giveaway! I would love to win Kiehl’s Midnight Recovery Concentrate and Midnight Recovery Eye and for my best friend, Adeline, the Bride-to-be the. SK–II Crystal Deluxe set as a gift to becoming a pretty bride!! I would like to win Laura Mercier Shimmer Effects Mini Caviar Stick Eye Colour for myself and Penhaligon’s Artemisia Fragrance Collection for my friend HP! I would like to win the Lancôme Hypnôse Star Mascara for myself as i absolutely love using mascaras and i have tried so many except the queen of all of them!My everyday look consists of just mascara and blusher, and i believe it is the one cosmetic product that makes the difference in the eyes as it lengthens and voluminizes the lashes,thus, makes the eyes look more pretty and it adds to femininity. Reading the raves and reviews, it would be lovely to have this special one! 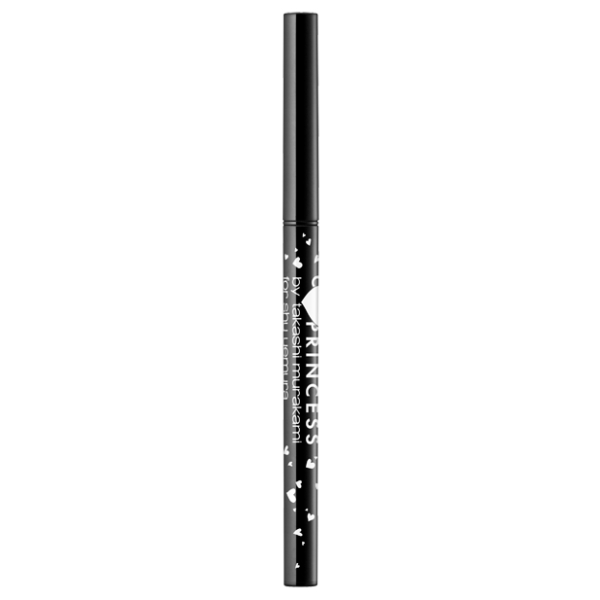 I would like to win the Laura Mercier Shimmer Effects Mini Caviar Stick Eye Colour for my close friend, Rachel who has been the constant support to me for the last 5 years.She likes applying eyemakeup that looks like it requires minimal effort (cream eyeshadows or eyesticks) and this would be an ideal gift for her to use and carry with her anywhere she travels in the world. Lastly, thank you for organizing giveaways year on year! Hello! Thanks so much for organising this giveaway! 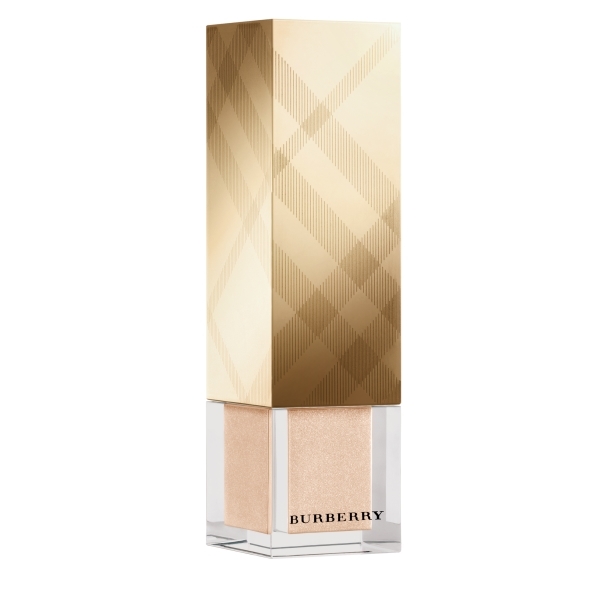 I would like to have the Burberry body set as I’ve always love that smell! I just love how the smell stays and smell on me! For the 2nd gift, I would love to dedicate it to my mum- YSL no. 18. 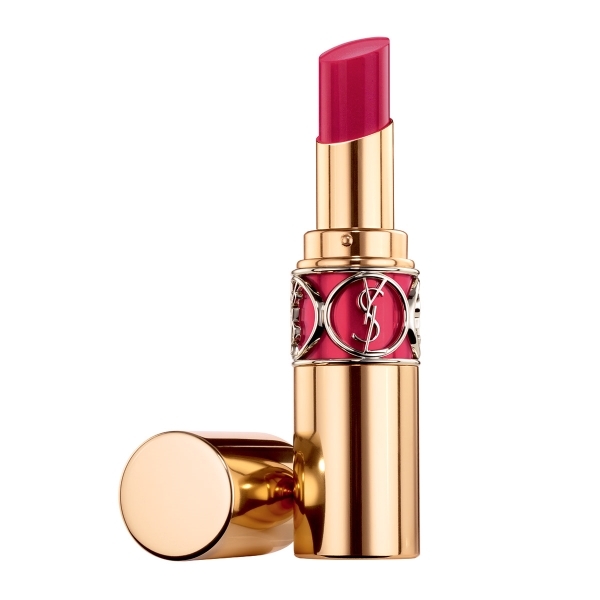 As her bdae falls on 28th dec, I would like to surprise her by saying I won a lipstick for her! Would love to see her with a ‘younger’ and bolder look this yr! This is my first time participating in this giveaway and this got me really excited as i have been following your beauty blog regularly and always look forward to the new products that you review. 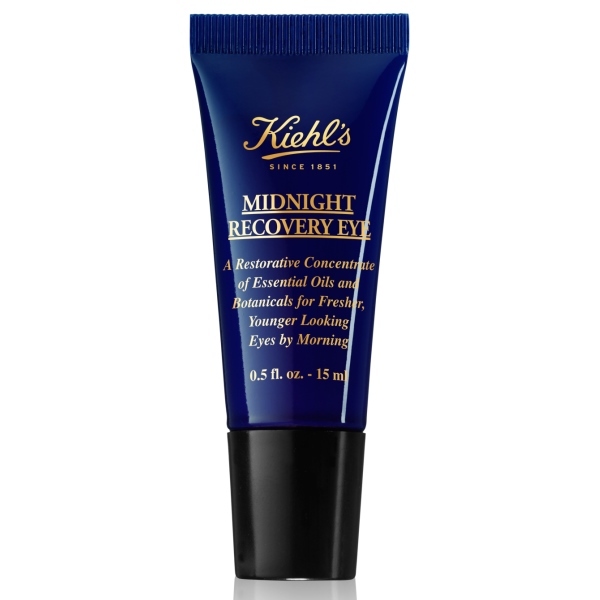 For my sister, i would like to get her the Kiehl’s midnight recovery concentrate and midnight eye gel as she has just had her first baby 1.5 months ago and is suffering from panda eyes and lack of sleep so i hope this will be a great perk me up for her. 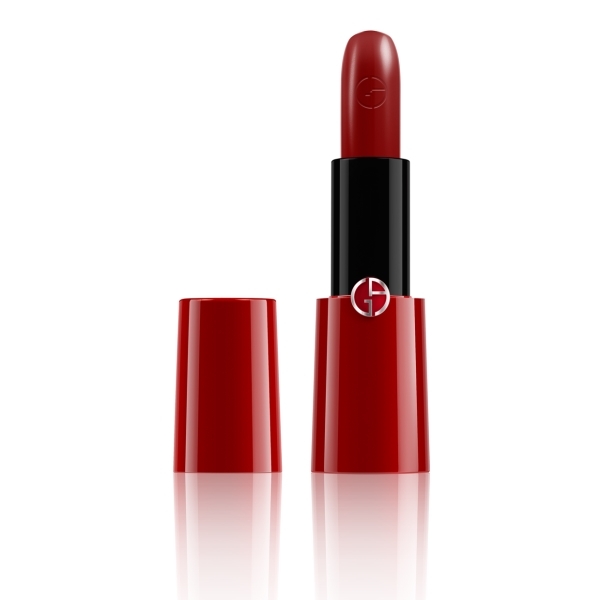 For myself, i would like to get the Giorgio Armani Beauty Rouge Ecstasy CC Lipsticks. 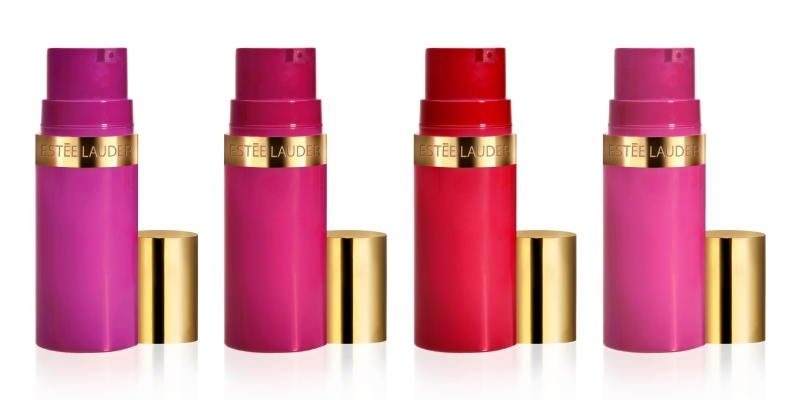 This is not a common brand of make up to try in Singapore and i have tried their blush (cream to powder formula) a long time ago and was really impressed so will be excited to try their lipstick as well. If none of my choices are available, i am happy to receive any of the gifts as well as i am sure i will find a happy recipient! What a great selection of products! Thank you for considering my entry! Merry Xmas and Happy 2014 Mag! I want the Penhaligon’s Artemisia Fragrance Collection because I love their fragrances and definitely the SK-II Crystal Deluxe Set for my mum because she has been a hard worker and she deserves it! Merry Xmas, I would love to have a lancome hynose star mascara and ysl rouge lipstick. In no 16 for both my mom and myself. Thank you for sharing this great giveaway to all of us. I would like my friend, Esther, to get the SK-II set as she has been spending so much time nurturing young lives that has left her skin dull. This would be a good way to give her something back! And I would like the Penhaligon’s Artemisia Fragrance Collection pls! Been wanting to try it for ages! Thanks for blessing us with your generosity. :) The stashes are fabulous and it’s really hard to decide cos they are all so nice. 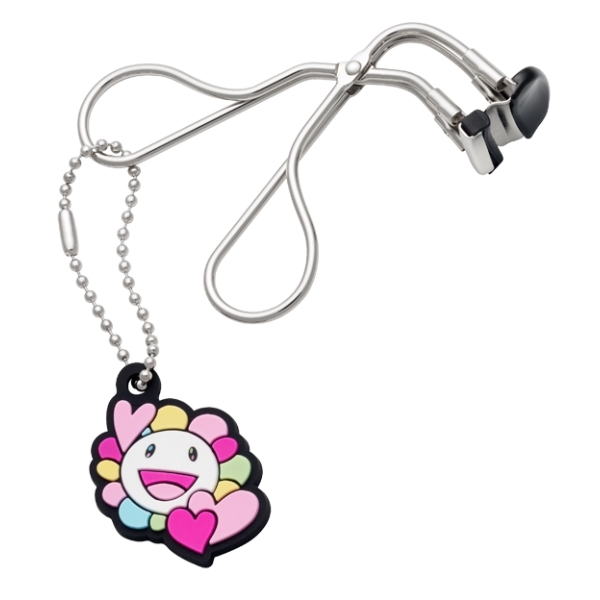 I’ll like to have the Shu Uemura 6 Hearts Princess Heart and Flower by Murakami S-Curler so that I can have fluffy nice eye lashes while practising my limited skills in eye make up. I’ll like my sister to have the Laura Mercier Tinted Moisturizer Oil-Free in Natural. She likes minimum make up and this should be perfect for her. Hey Mag! So awesome of you to have this giveaway! It’s really too generous of you to do so. With such a vast selections, I’m really spoilt for choice. But even so, I would really love to get the Benefit Cosmetics Crescent Row. The different scents in the set would give me a chance to explore and try out different ones on different days based on my moods. Especially when I’ve heard great reviews on it, I would really appreciate if I could have it. Not to forget, I would really love to get the Shiseido Hydrating BB cream for my friend. 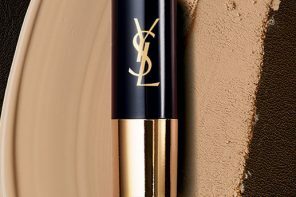 I have always loved BB cream and have always hyped over the natural coverage that a BB cream can provide. It would be a great opportunity for my friend to give BB creams a try and especially when the cream has hydrating properties, I believe it would go well with her skin and I bet she would love it. I hope my late participation will be considered. Wishing a Penhaligon Artemisia.for myself and SKII Skin care for Men for my hubby. Rewarding him for his hardworking attitude towards better life. I love hubby. Than you for my comments even though I know I am disqualified.. I would like to try penhaligon’s fragrance n would gift my best friend the other set if possible! Hope you had a fulfilling 2013 n have a many more good years ahead happy new year ! I stumbled upon your blog through My Dressing Table. Thank you for organizing this awesome giveaway! 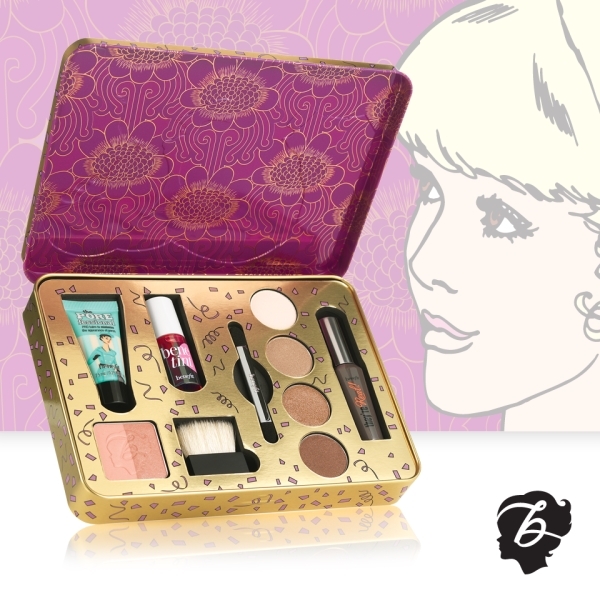 I would like to win a Benefit Cosmetics Groovy Kinda Love as this is the perfect kit for an everyday look. 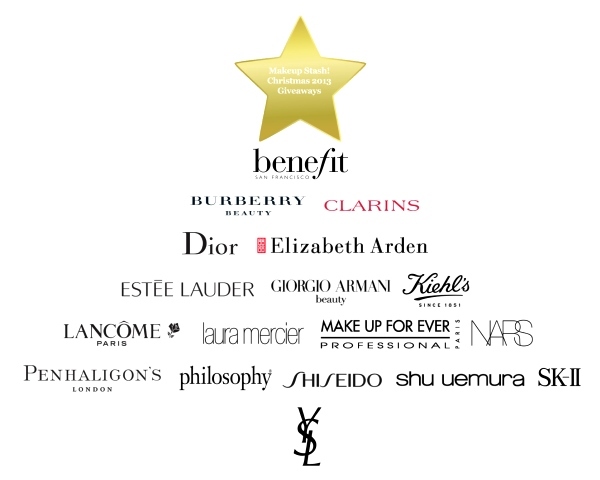 I’ve never tried Benefit products (except Benetint) and am looking for suitable shades of brown eyeshadow. I saw this set here and fell in love with it on sight! I would also like a gift for my boyfriend, for Christmas and his birthday in January. He is mad about getting the right hand cream because he has very dry hands and his ritual hand cream has been discontinued. I think Philosophy The Holiday Handbook would be very suitable for him. Liked and share on Facebook and Twitter! Thanks once again and have a lovely blessed Christmas! Merry Christmas, and thank you so much for this amazing giveaway! 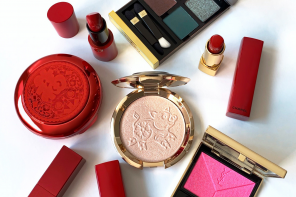 I would love to win the Burberry Body Gift Set for myself, and the Philosophy The Holiday Handbook for my sister as she’s a huge fan of the brand. 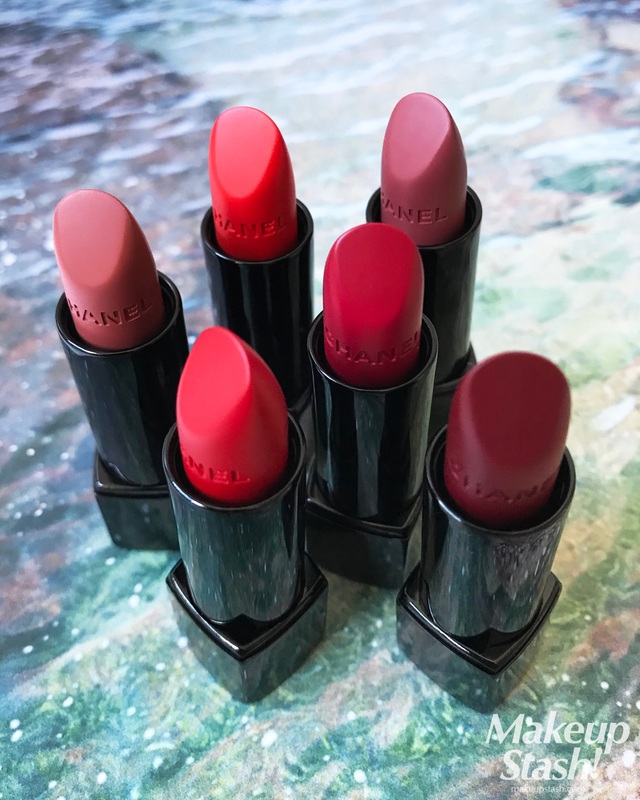 I would like to win the SKII Men as i want to try SKII once and know the secret.I would like to win Nars Bold Lip Kit for my sister as she is so into lipsticks,she almost like having them for a sweet. Shared and Happy Holidays,hope to see this giveaway year after year as usual.